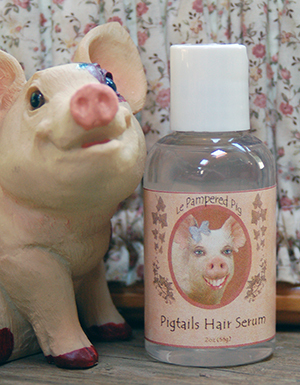 I get asked a lot; “why a beauty line with a pig as a logo?” I know it’s a strange- but I wanted to have something that stood out from the herd and not so vanilla. It’s meant to be unique, quirky and fun. I think pigs are so ugly they’re kind of cute. Back in the day, when I was thinking about a logo, I didn’t know about stock photo’s. I found a pig farm and asked the farmer if I could take some pictures. Pigs usually keep their heads down as they roam around, always on the lookout for food. To get them to look up, I tied a hot dog bun on a stick and waved it around. (long story why this was in my car). Then I found a student to add a little makeup in Photoshop. The idea behind it is poking fun at the beauty industry. We’re used to seeing over-edited images of flawless skin, and duck lips that have dominated the beauty industry. The Dove campaign for Real Beauty is aimed at exposing the “beauty pressures” that are blasted over and over to young girls. Americans eat 20.7# of candy per person annually. Cast iron skillets used to be the leading source of iron in the American diet. 90% of the world’s problems can be solved with bacon. 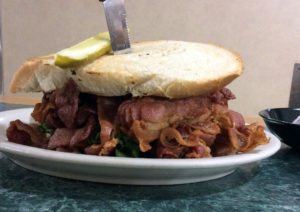 There does not exist a food that does not go well with bacon!